Hairstyles are one of the prior ways of making oneself look good and presentable. These days we find hell lot of hairstyles emerging out every next second. Not only ladies but these days even men are conscious about their looks. Men cannot bear a slightest compromise when it comes to their hairdo. After all a good hairdo is what a girl wants in a man and therefore to make it more attractive and good looking, men usually make the fact clear that at least they have a good hairstyle. If you have got the curly Afro curls, then the top of your head can become the talk of the town if you go in for a fade cut. This hairdo will give you a chance to flaunt your hair’s textures. 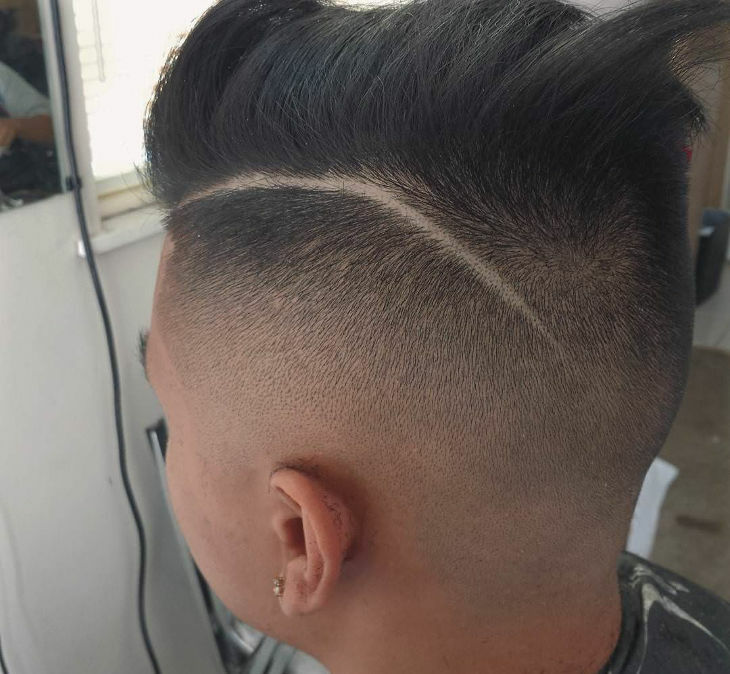 Introduce geometric cuts and accurate lines into your fade and make it look like a work of art literally. This avatar of the fade is hugely popular these days. In fact faded hairstyle has now turned to be the most liked hairstyle by both men and women. 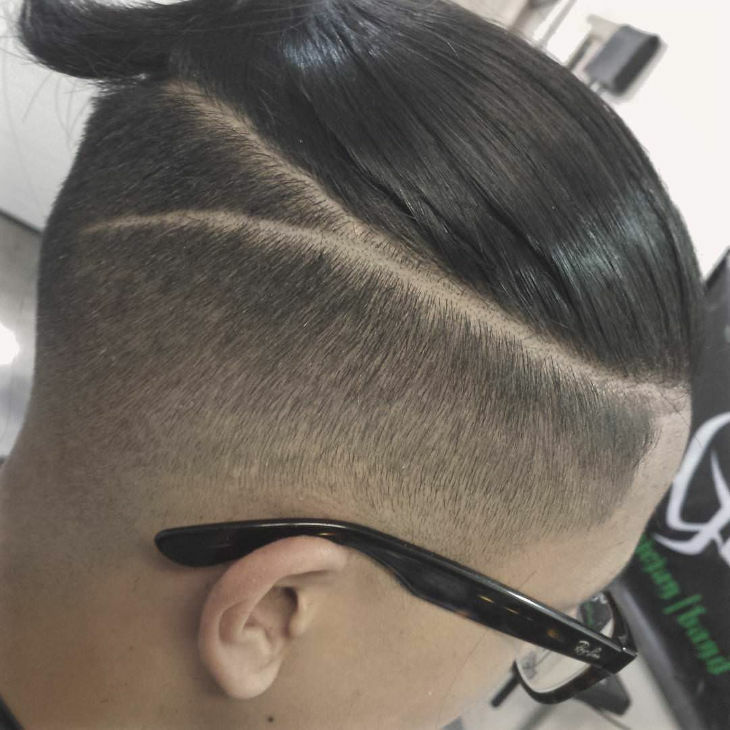 Add more creativity and fun into your fade by introducing a thin wavy line on one side of your head. This is a simple trick to further stylize your look. Actor Will Smith rocked with this hairdo on a lot of occasions. 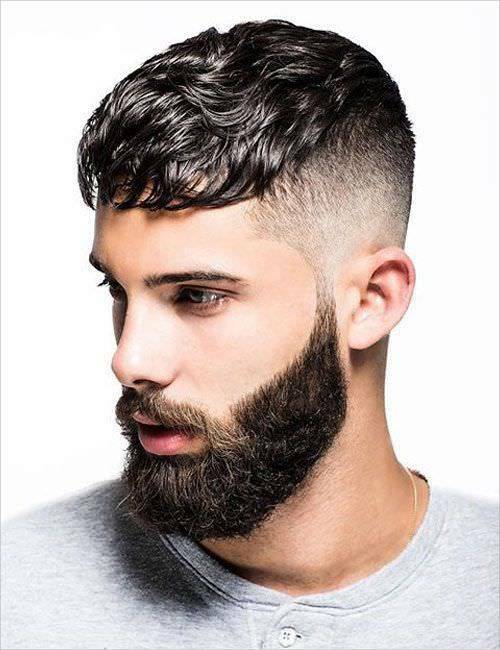 This fade cut works in big way because the focus is on highlighting the facial contours, and the gradation of length on the sides gives the hairdo its perfect finish! Spikes are every man’s favorite. There is so much character and funk spikes can bring into any hairstyle. Wear your fade cut more stylishly, tell your stylist to gel up the hair and spike it in a fun way! 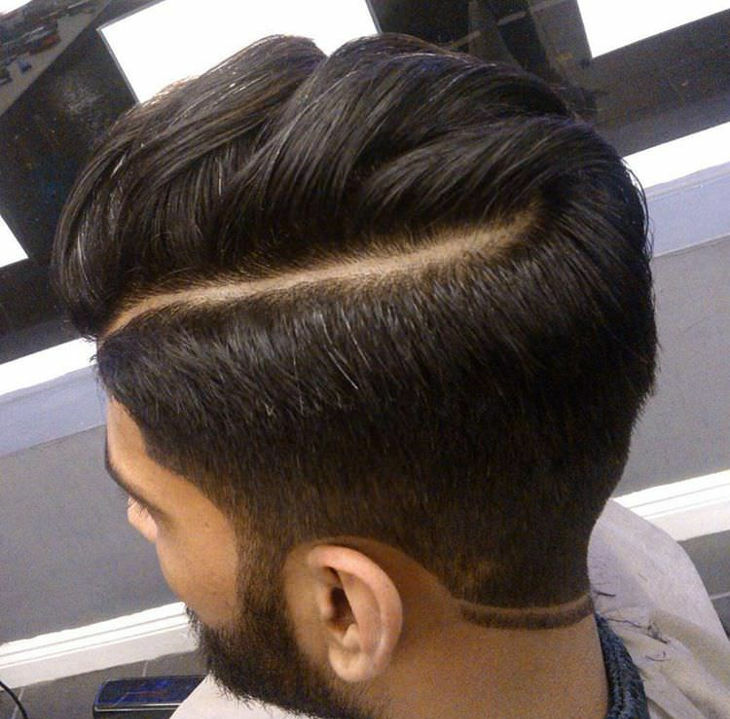 There are a lot of men who dislike designer fades and love and prefer to style it simple. If this is your picking too, then the simple fade with no accents is the route for you. 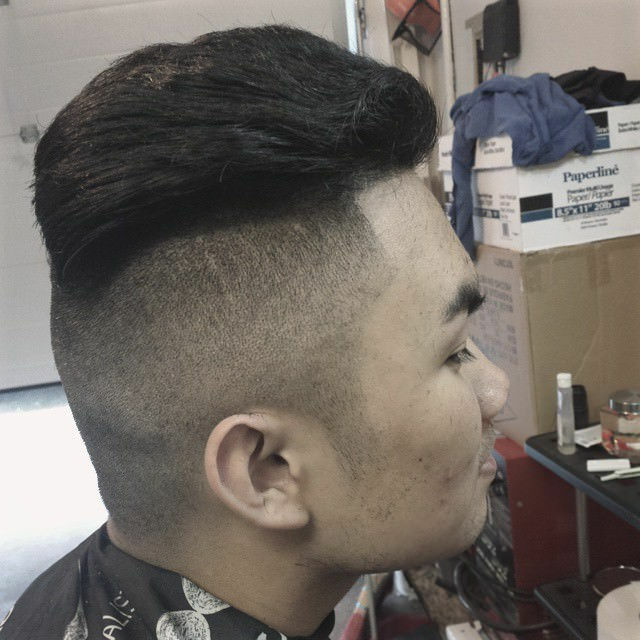 To get this awesome fade hairdo, the top of the head is left with hair of consistent length. The trick however lies in how the hair suddenly goes real short on the sides. Obviously this adds much welcome drama to the overall look. 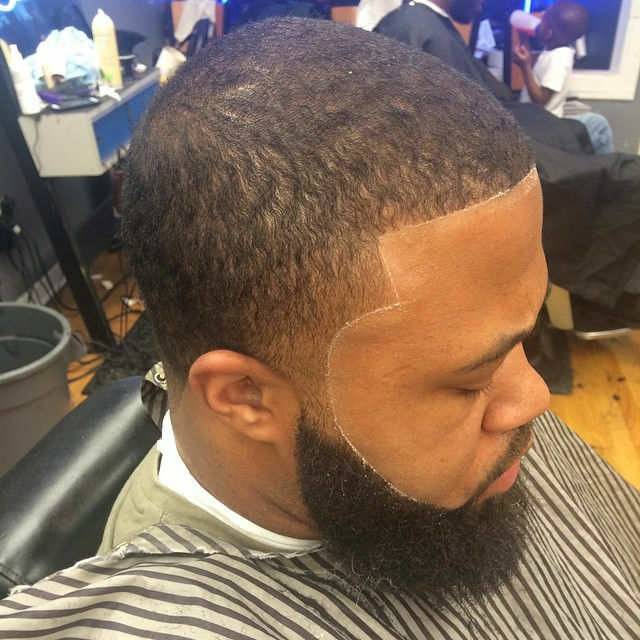 You can easily achieve this look by getting a fade at the temple sections of your head. The hair length at the top and back remain consistent and shortened respectively! Men don’t always like to have haircuts which are over-the-top, so to speak. At times a straight cut hairdo is the order of the day. In that case, you definitely get an artsy fade. Here, the shaved sides and curly are main attractions. There are men who are firm believers that men’s hairdo should be neat and simple. If that’s your hair motto as well, we’d push you to have your stylist run his scissors on your hair and give you short buzz with temple fade. Bring contrasting textures alive with this rather stylish yet unconventional hairdo. 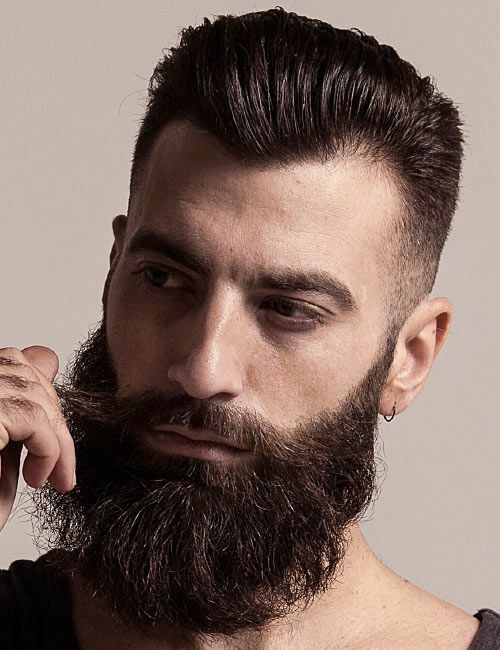 A low top fade with 360 waves is a great way to flaunt the thick hair of your beard. Show off your natural curls in a simple yet innovative way. Choose the fade to clean up your sides and let your curls on top be the hero! Men with natural hair may not have a fuller crown. However that doesn’t mean they cannot rock it with a fade hairdo. A low cut fade with thinned sides is fun way to keep your naturals interesting! This one’s a fade cut which actually plays a trick with the eyes of the viewers. Here’s why, the fade cut cleverly disappears towards the ear line there by creating an illusion. 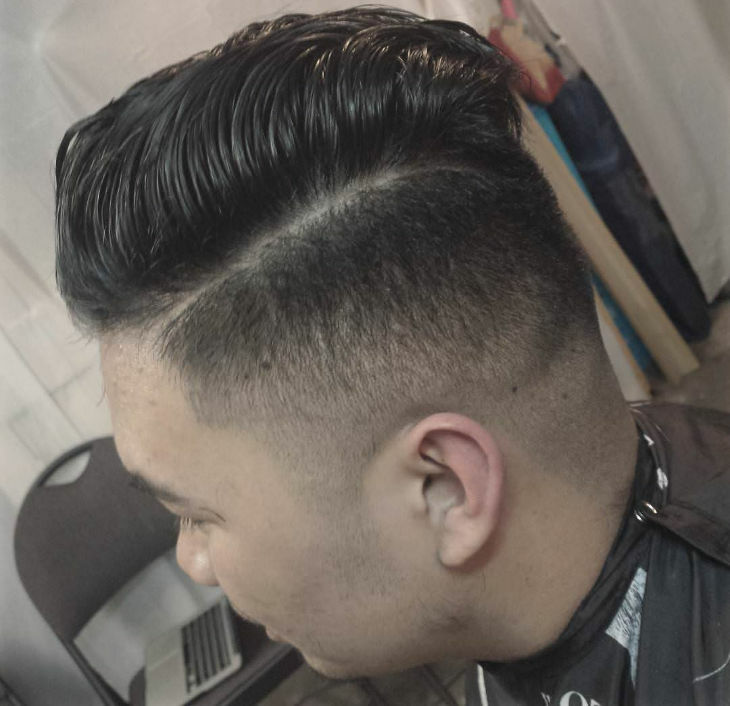 Tapered temples are one of the smartest and conservative fades out there today. You could call it as the update on the buzz cut hairdo. This one is a hit for all occasions. You cannot go wrong with this one! If you want a fade cut which makes you look extremely sharp and is totally no fuss, then the extra short fade should be your pick. This one has extremely nice close cuts, and looks totally wow! Except the gradual trims on the sides, this hairdo is the one without the designer cuts and quirks. 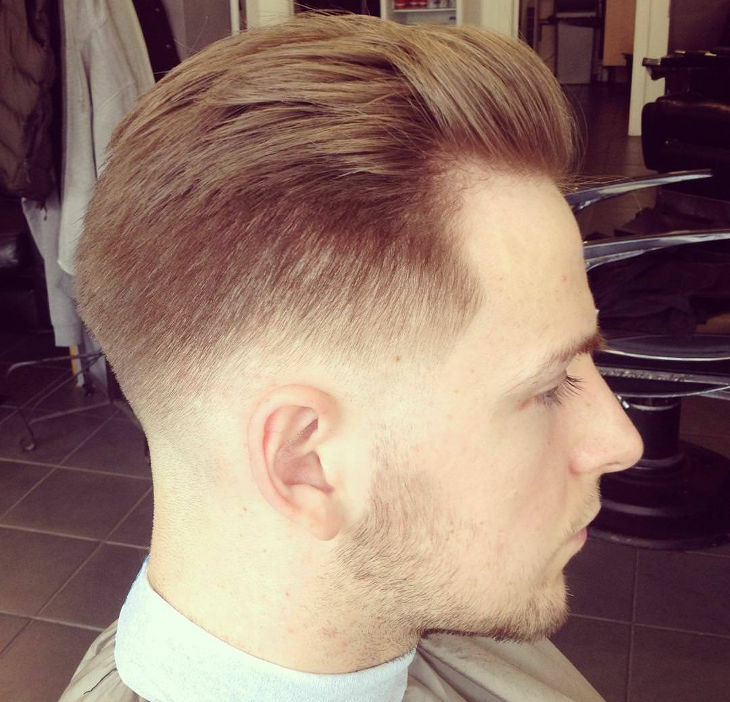 All you get in this particular fade hairstyle is perfect amounts of neatness and simplicity. The USP of fades is that you don’t really have to follow any textbook rules of styling here. You can design the fade any way you like. The low fade partial is one good example where symmetry is given a miss! Temple faded haircut is yet another type in the faded haircut genre. Here we see the hair disappearing from the lower sides but the alterations are much more rapid. The temple has one inch of scalp all around the hairline and the sides are faded from skin to a length of at least half an inch. This hairdo makes your head look a bit longer because in the middle lies the bunch of hair arranged in the shape of a temple. This hairdo is also much preferred by the blacks. This hairdo is also named as ‘Blowout’. 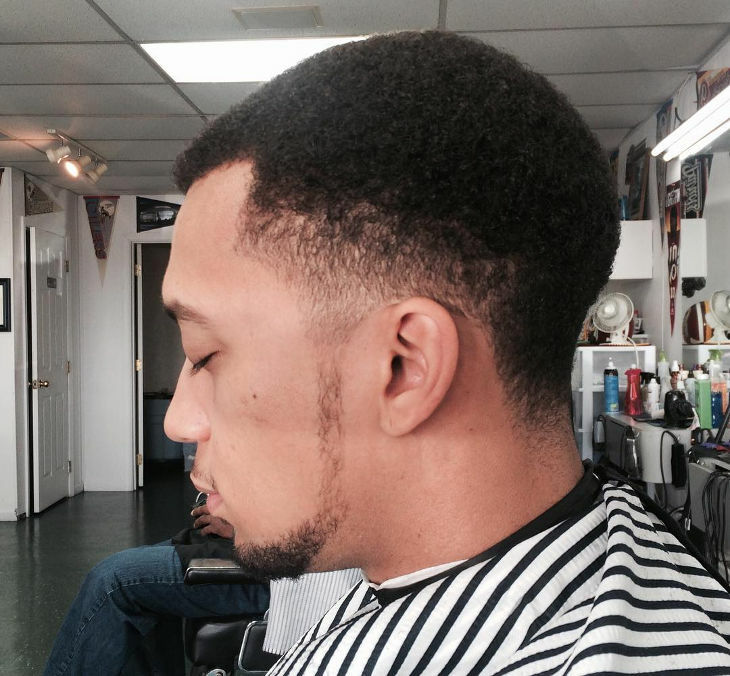 Neat Low Fade: If you’re an individual who loves fades and loves to keep them simple. Then opt for the all seasons look which is the neat low fade. The hair is trimmed nicely and sides are tapered very neatly. Super Short High Fade: With age it’s natural for a man’s locks to not be as dense and thick as they may have been a few years ago. 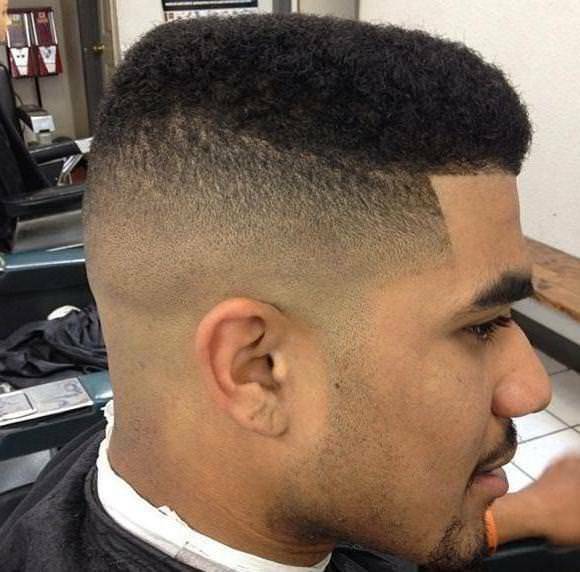 Is there a fade hairdo to show it off stylishly? Of course there is. The super short high fade is a no fuss hairstyle! 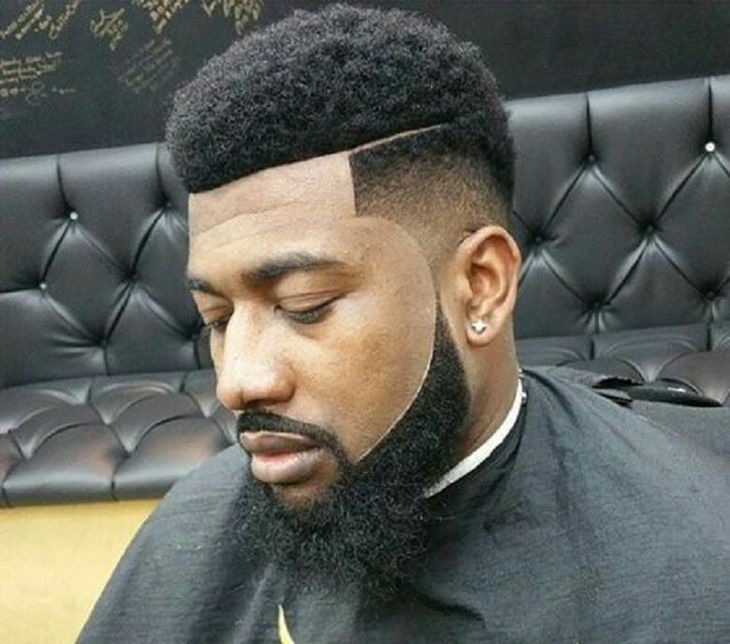 Fro’ with Fade on Temples: If you have awesome Afro hair and are looking to go for the fade cut, we recommend you go in for the faded temples look, as they are renowned for adding texture to Afro hair. Polished Finish High Fade: This one is a perfect hairdo for all them men who want a least to no maintenance hairstyle. 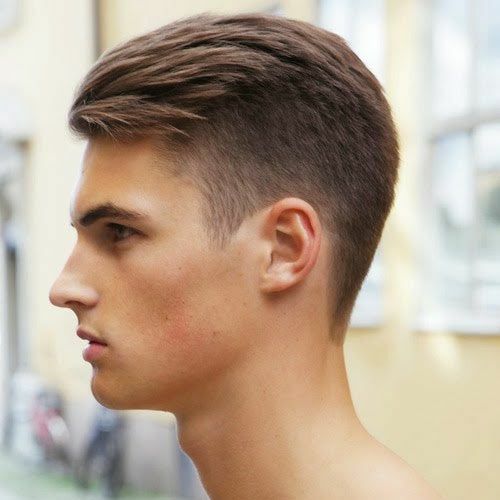 The top hair is cut extra short to give the polished fade look and hair on the sides is kept to minimal length. Afro on Top: The wow factor in this hairstyle is the fact that it allows the Afro texture to come through and shine. It very cleverly adds another dimension to your overall looks as well. 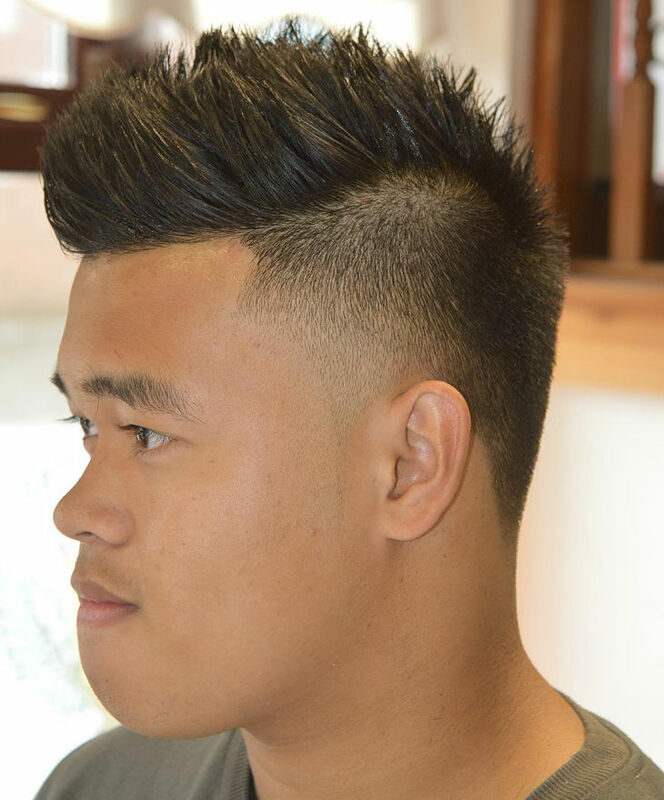 Short Buzz: The short buzz hairdo is known to sit very well with the temple fade. This hairstyle is ideal if you want to flaunt you’re the accuracy of your facial contours. Many celebs have opted for this hairdo and got wows! 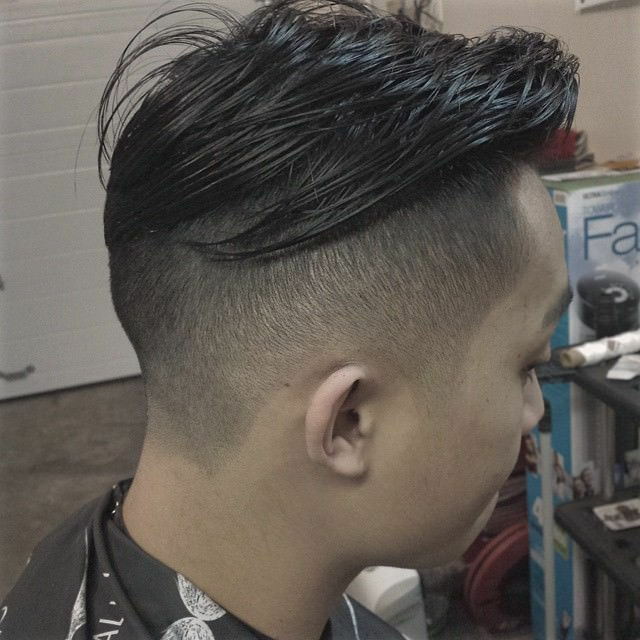 Voluminous Fade: This one my not count as a classic fade but it is an alternative fade hairstyle wherein there is volume of hair on the top of the head, but the temples and sides have been closely cleaned off to good effect. Interesting Contour Fade: You may or may not count this one as a fade style at first, but in fact it is a fade hairdo. 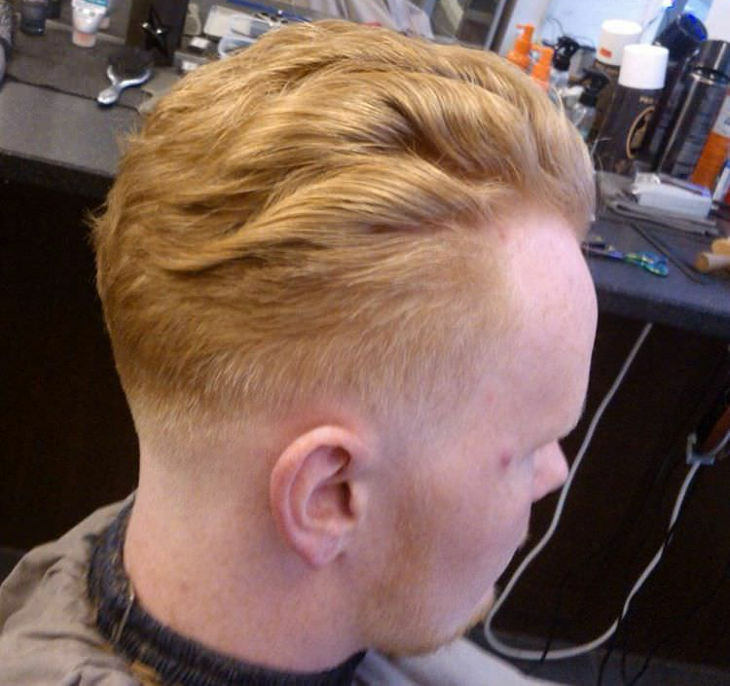 The hairdo is extremely short and temples are polished, and it exudes the fade effect only from the contours. 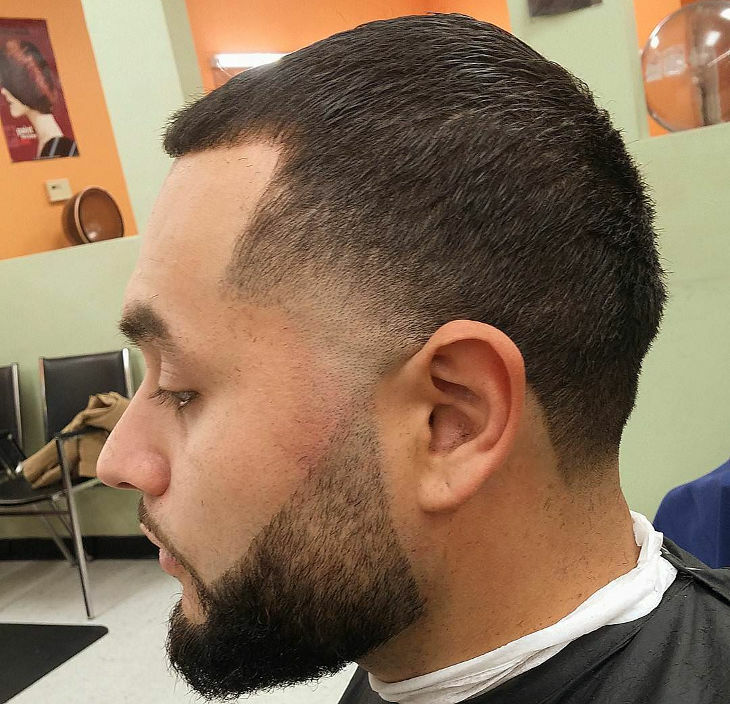 Shaped Fade: Ideally for a fade haircut it is rather considered as unusual that men would like to grow more hair on the top, but for a shapely top fade hairdo that is just the rule. This is a good breakaway option from the usual fade cuts. Uber Short Fade: This one isn’t really a bald fade cut. The hair has been cut extremely short so that your jewels and accessories on you can get all of the attention. This one’s ideal for men who love their bling! Afro Fade: Afro fades are absolutely awesome. 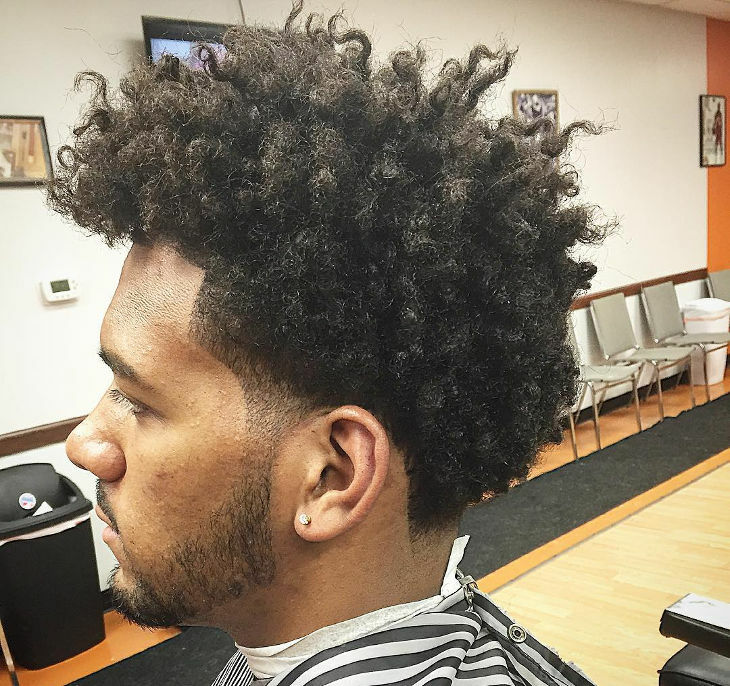 Check out Trevor Jackson’s amazing Afro fad which has been worked along his temples. The Afro is well trimmed and a slight fade near his temples adds stylish effect and does wonders! 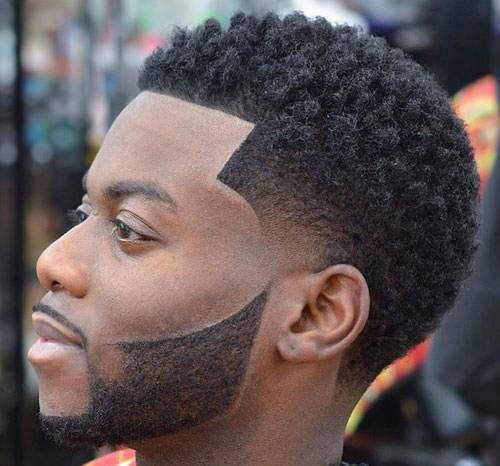 High Afro Fade: Yet another classy variation of the Afro fade hairdo, this high afro fade features the top of the head and sides polished off nicely so that his facial contours can shine through. This hairdo is perfect for casual and formal gigs!